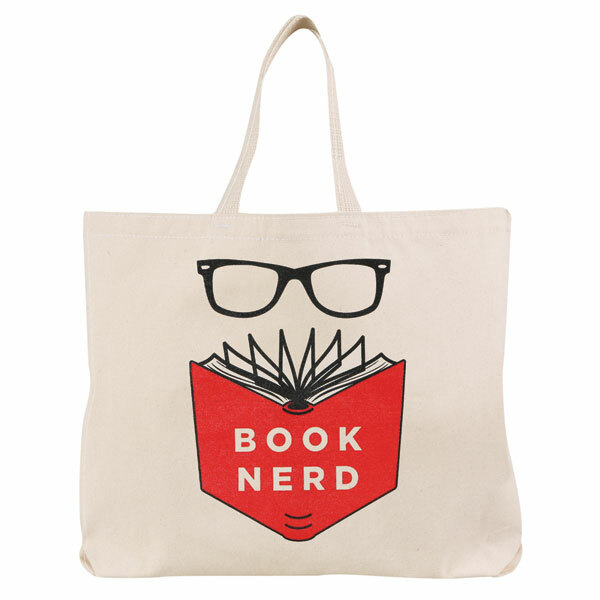 Are you a self-professed book nerd? Show off your nerdiness with our "Book Nerd" tote bag complete with hipster glasses and a classic red book! 100% natural cotton canvas. 14" wide, 15 1/2" tall, with a 5" gusset and 22" handles. Made in the USA.